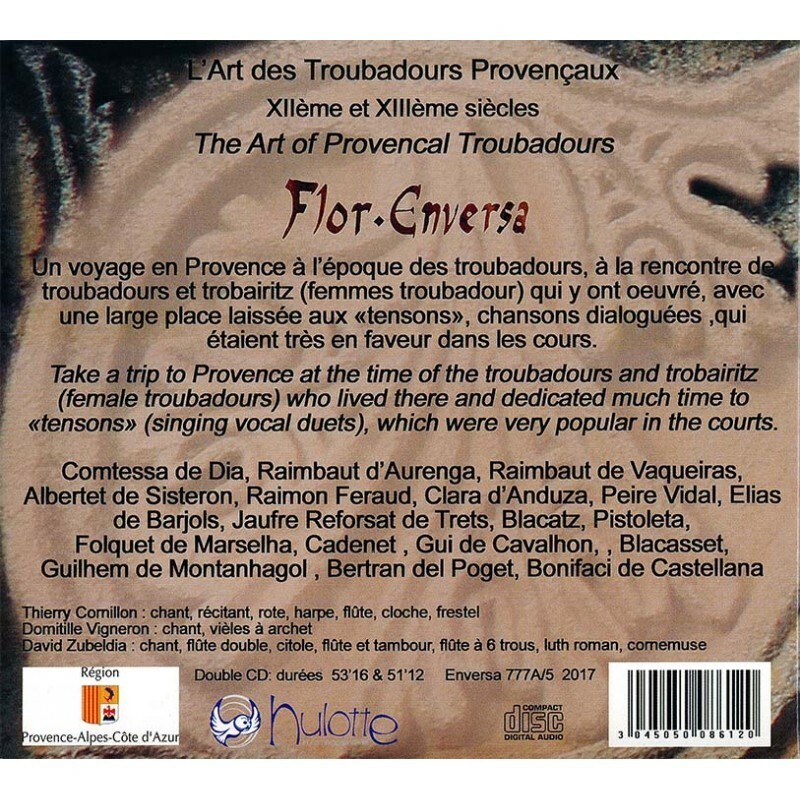 L'Art des Troubadours Provençaux in 12th and 13th centuries - CD by the band Flor Enversa, an anthology among the songs of trobadors from Provence. 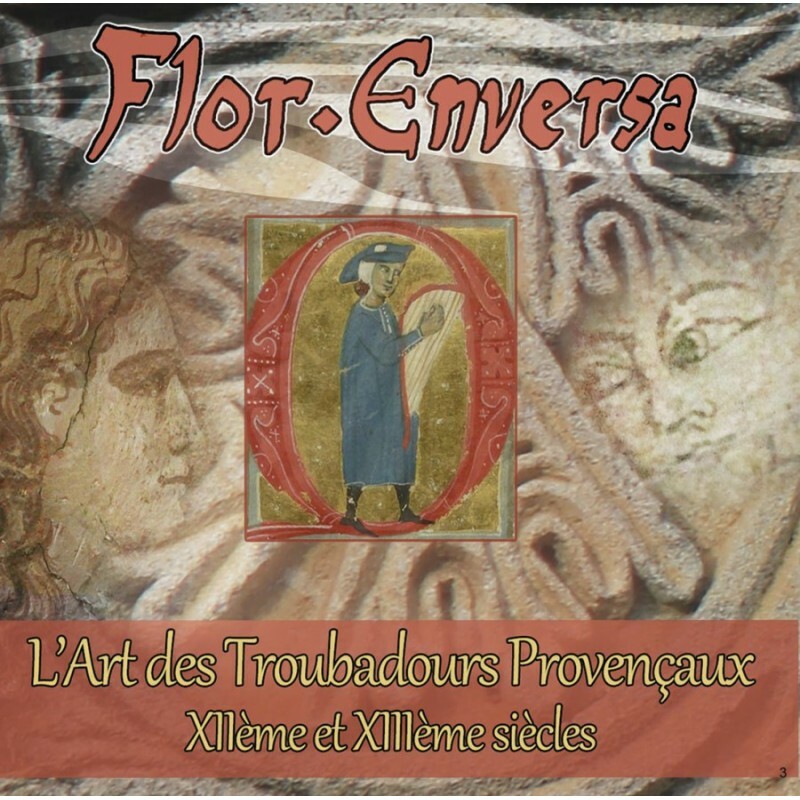 The 5th album of the group Flor Enversa, around Provencal troubadours, with a place of honor to tensons (dialogue songs) so emblematic of the life of the courses, songs that leave room for a lot of play and humor around the theme love! 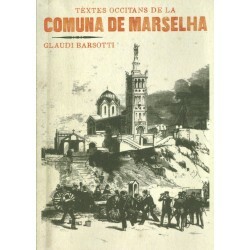 Take a trip to Provence at the time of the troubadours and trobairitz (female troubadours) who lived there and dedicated much time to «tensons» (singing vocal duets), which were very popular in the courts. 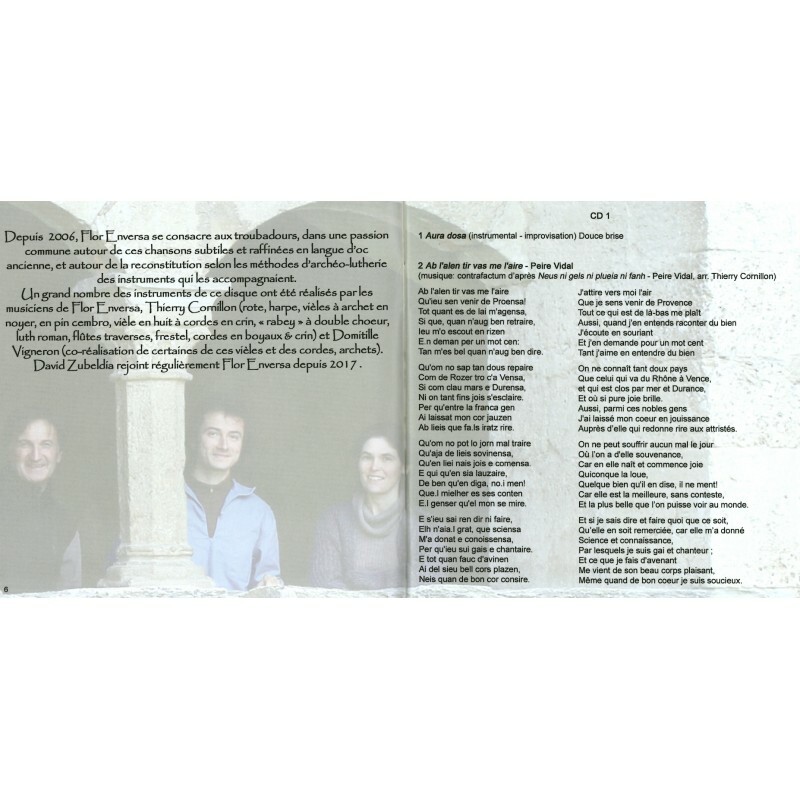 With Thierry Cornillon, Domitille Vigneron and David Zubeldia for this disc. 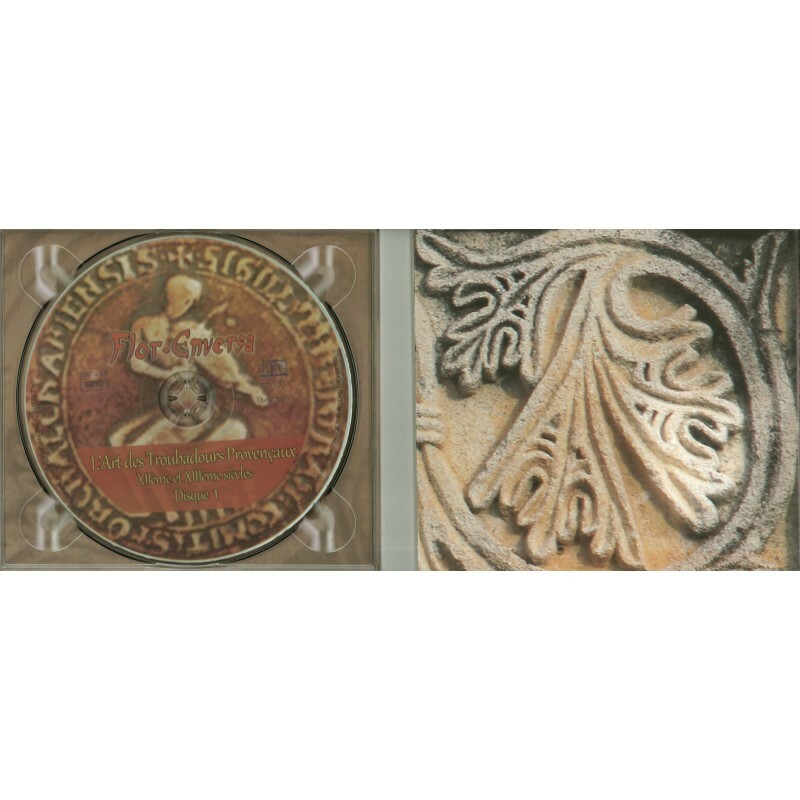 Doble CD with booklet with all texts and translations. 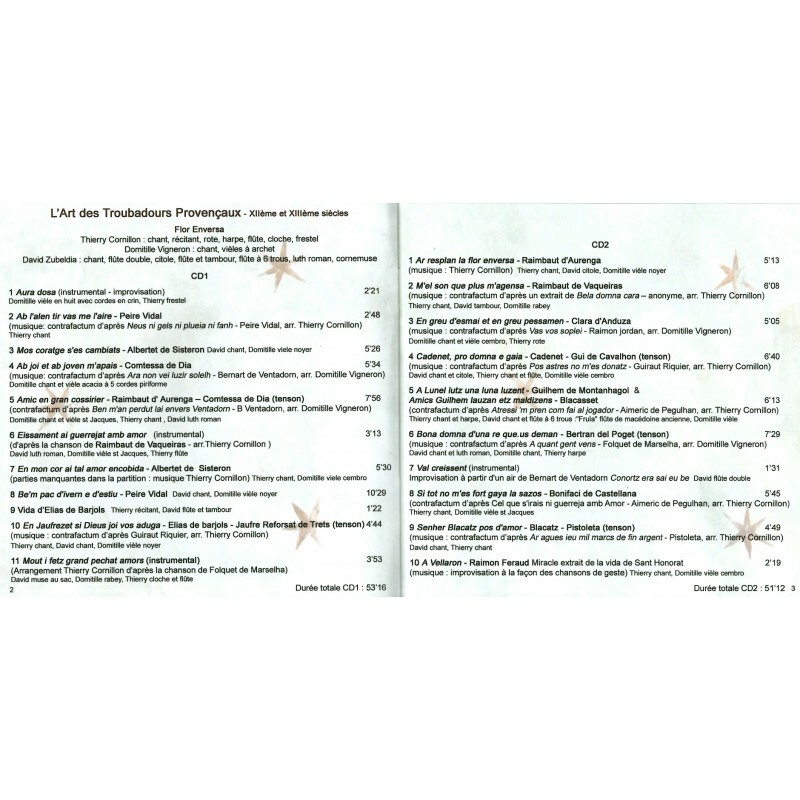 Note that the digital version (MP3 files to download) is also available here. 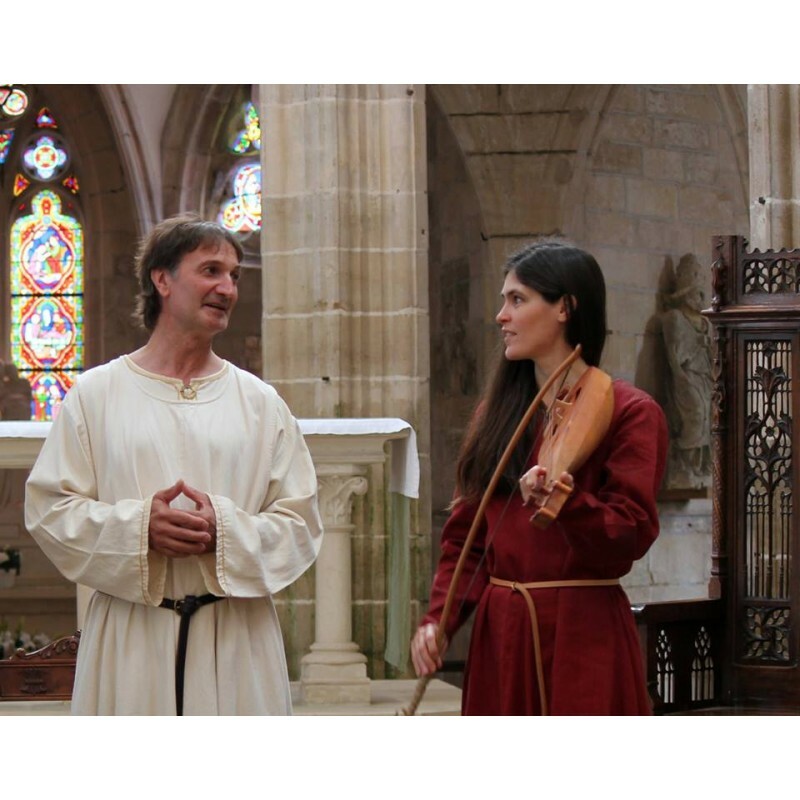 Flor Enversa performs a work of archeology and violin making, reconstitution of the instruments compared to the sources of the time, and revives these songs with the sounds that carried them. 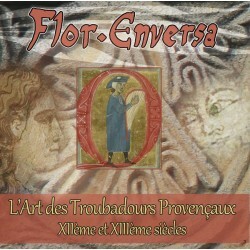 From the duet to the larger ensembles, Flor Enversa (the inverse flower, according to a song by Raimbaut d'Orange) is a passion shared around the songs of troubadours. They sing the courtly lyric of the troubadours, and take their audience 800 years back, in Occitania of the Middle Ages, in these courts of the south of France inhabited by cortesia and fin'amor. The troubadours compose poetry and music in langue d'oc, and offer in their songs a new art of living guided by love. They praise youth, beauty, generosity, courage, education and intelligence, sincerity and nobility of heart, which embellish the desired lady, the troubadour himself and his song.